LOS ANGELES, California, November 12, 2018 (ENS) – Conservation and Native American groups have won their fracking lawsuit against the Trump administration. A federal court has ordered the Trump administration to stop issuing permits for offshore fracking in federal waters off the California coast. Judge Philip S. Gutierrez of the U.S. District Court for the Central District of California ruled Friday that the federal government violated the Endangered Species Act and the Coastal Zone Management Act when it allowed fracking in offshore oil and gas wells in all leased federal waters off California. Fracking involves blasting water and industrial chemicals into the seafloor at pressures high enough to crack rocks and release oil and gas. Oil companies have fracked more than 200 offshore wells near Huntington Beach, Long Beach and Seal Beach, and in the Santa Barbara Channel. 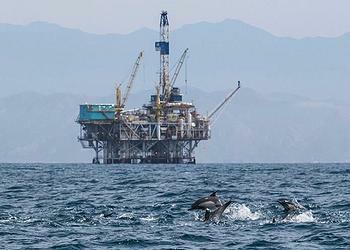 “Stopping offshore fracking is a big victory for California’s coast and marine life,” said Kristen Monsell, oceans program legal director at the nonprofit Center for Biological Diversity, a plaintiff in the case. “We’re glad the Trump administration lost this round in its push to expand dangerous oil operations off California. This decision protects marine life and coastal communities from fracking’s toxic chemicals,” said Monsell. The court order is the result of three lawsuits filed by the state of California, Center for Biological Diversity and Wishtoyo Foundation, and the Environmental Defense Center challenging the federal government’s approval and environmental review of offshore fracking in the Pacific Ocean. The Wishtoyo Foundation is a community-based nonprofit with members consisting of Ventura County residents, Chumash Native Americans, and the general public. Core values of the Chumash include sustainable living and respect for the environment. “Protecting the health of our coastal waters is essential to our commitment to conserving the ecosystem and marine life necessary for our maritime culture,” said Mati Waiya, founder and executive director of Wishtoyo Foundation. “The decision by honorable Judge Gutierrez upholds the law that ensures the health of our ocean waters,” said Waiya. “We all celebrate this decision that honors the rights of our maritime resources,” he said. The court held that federal officials violated the Endangered Species Act by failing to complete its consultation with expert wildlife agencies on the impacts of offshore fracking on endangered species. The court also ruled that the Trump administration violated the Coastal Zone Management Act when it failed to let the California Coastal Commission determine whether offshore fracking is consistent with California’s coastal management program. The judge ordered the federal government to complete the process with the State of California before approving any permits for offshore fracking. At least 10 fracking chemicals routinely used in offshore fracking could kill or harm a broad variety of marine species, including marine mammals and fish, scientists with the Center for Biological Diversity have found. Scientists with the Center for Biological Diversity released a new report on September 11 that outlines the serious dangers posed by toxic chemicals, air pollution and increased earthquake risk linked to offshore fracking near Santa Barbara and Los Angeles. The “Troubled Waters” report also examines unique environmental concerns raised by the California Council on Science and Technology, which recently unveiled data showing that fracking in California occurs at shallower depths and with higher concentrations of chemicals than in other areas. The Council has identified some common fracking chemicals to be among the most toxic in the world to marine animals. “Oil companies fracking offshore wells are using incredibly toxic chemicals that can hurt sea otters and other marine wildlife,” said Shaye Wolf, a biologist with the Center for Biological Diversity. * – Toxic discharges: Oil platforms off California’s coast are permitted to dump 9 billion gallons of wastewater, including fracking chemicals, into the ocean each year. * – Wildlife threats: At least 10 fracking chemicals routinely used offshore in California could kill or harm a broad variety of marine species, including sea otters and fish. Fracking in the state employs high concentrations of chemicals, including substances acutely toxic to mammals, according to new data from the California Council on Science and Technology. 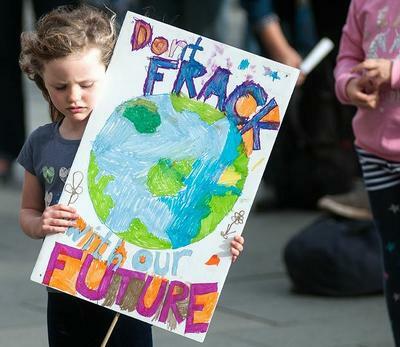 * – Hazardous air pollution: Fracking increases air pollution and can expose coastal communities to air pollutants that cause cancer and other illnesses. Most offshore frack jobs have occurred within three miles of the coast, near communities like Long Beach, which already has some of the nation’s most polluted air. * – Earthquake risk: Injecting fracking wastewater underground can induce earthquakes, and all of Southern California’s offshore injection wells are within three miles of an active fault. A recent poll, commissioned by the Center for Biological Diversity and conducted by Public Policy Polling, found that 55 percent of Californians back a ban on offshore fracking, and 65 percent want oil companies to be kept from dumping fracking chemicals into the ocean.